A night-watchman who patrols the streets and becomes familiar with Boston’s rowdier citizens. 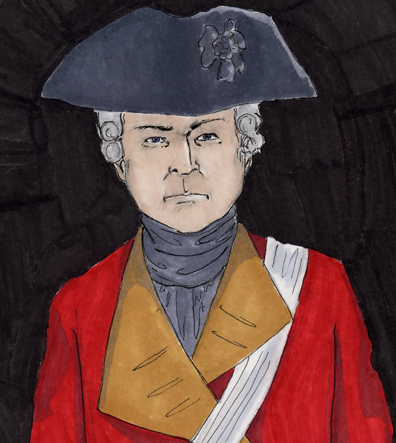 As a night watchman, Benjamin Burdick was especially troubled by the arrival of British soldiers to keep the peace in 1768. Ever distrustful of them, Burdick appeared with a sword in hand on the night of the Boston Massacre. Later, the same man owned the Green Dragon tavern, where many revolutionary meetings took place. Perhaps what he had seen on the night of March 5th influenced his later politics. You make your living as town watchman, but you are a trained barber and wigmaker. Watchmen and British soldiers argue about who has the right to police the town. Insults are often exchanged. You are at the Boston Massacre, sword in hand (your wife insists you carry it for protection). You help remove the bodies of the dead and later testify against the soldiers at their trial. In 1771 you purchase the Green Dragon Tavern, an important Patriot meeting place. .